Brands, businesses and solo entrepreneurs seeking an outfit to create a great mobile application can confidently turn to Huemor Designs. This crew has developed a range of exceptional apps, and their expertise goes beyond building apps. 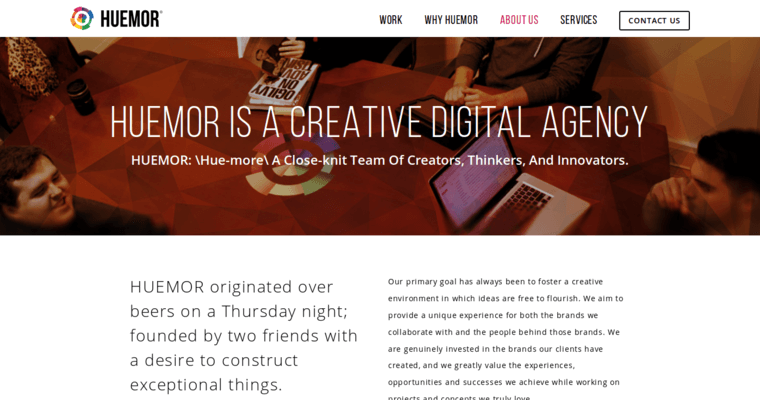 With the firm's ability to do anything related to commercial online tech, Huemor Designs becomes a valuable and time-saving service provider for new clients. Current clients include Live Nation, Ironside Computers, Cover FX and many other enterprises that span industries and business sizes. For a full appreciation of the things Huemor Designs can do, you owe yourself a look at their online work samples.